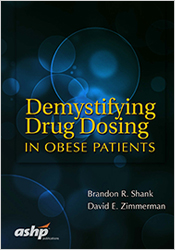 Praised by practitioners, students and instructors for its engaging approach to teaching a very complex subject, Demystifying Opioid Conversion Calculations: A Guide for Effective Dosing, has long been the go-to guide for learning how to calculate opioid conversions. Now in its second edition, this reference is a must-have for clinicians involved in pain management at all levels. 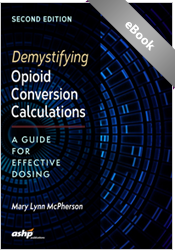 Written by pain management expert Mary Lynn McPherson, PharmD, MA, MDE, BCPS, CPE, Demystifying Opioid Conversion Calculations focuses on the calculations that practitioners use in actual practice, providing realistic scenarios for decision making. 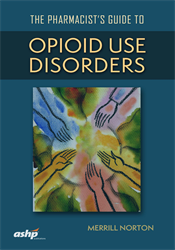 The revised edition covers the entire spectrum of opioid analgesics used to manage patients with moderate-to-severe pain and serious life­limiting illnesses. Demystifying Opioid Conversion Calculations, 2nd Edition, is designed to help practitioners including pharmacists, physicians, nurses, and others develop a high level of skill in performing the required mathematical calculations associated with opioid conversions, plus the confidence to safely and effectively manage their patients’ needs for pain relief.